Amazon Prime Video Original and Excel Entertainment present the deadly Guddu Pandit in the latest teaser of the much-awaited web series. The teaser showcases Guddu Pandit revealing the rules of killing as he shares his golden advice. Guddu thinks less and kills more and is ready to create a storm in Mirzapur. Ali Fazal who has earlier won hearts with his sweet and boy next door characters is all set to surprise the audience as he slips into the deadly avatar of Guddu pandit. Earlier, the makers revealed the first teaser introducing the powerful Kaleen Bhaiyya played by Pankaj Tripathi, now the makers have taken to introduce yet another interesting character from Mirzapur. The teaser showcased the badass business of weapons and ammunition that is brushed under the carpet, Kaleen Bhaiya makes it clear that his word is set in stone – either you’re with him, or against him. 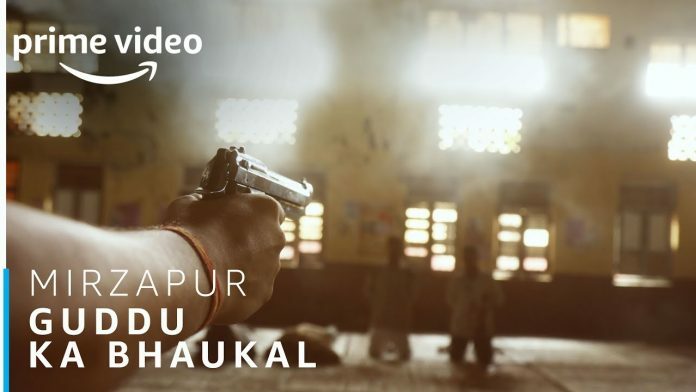 Created by Puneet Krishna and Karan Anshuman, Amazon Prime Video Original’s Mirzapur is directed by Gurmeet Singh and is produced by Ritesh Sidhwani and Farhan Akhtar under the banner of Excel Entertainment. Next articleFatima Sana Shaikh Looks Elegant At A Recent Award Function, Bags Entertainment Youth Icon Award!